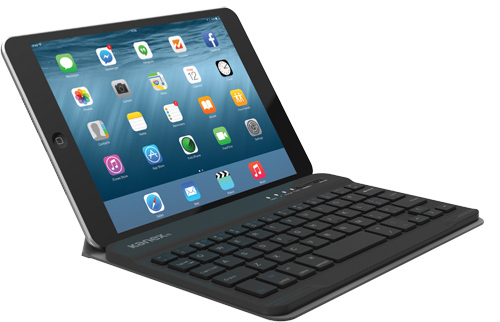 The keys are comfortable to use and just the right size for a take-with-you-anywhere keyboard. 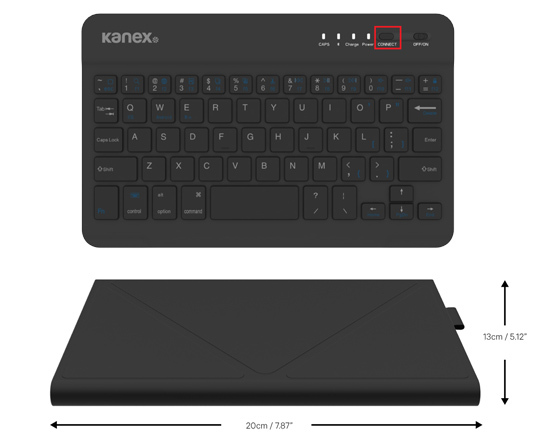 Bluetooth® 3.0 connectivity gives you the freedom to switch between your tablets, smartphones, laptops all from the comfort of one keyboard. Premium black faux-leather and soft microfiber inner lining for a soft-touch and added protection for the keyboard. The Stand Cover folds into a 60° stand for a more convenient typing experience. Powerful magnets provide enough support for most tablets*. The internal battery is slim, lightweight, and with enough power to last up to 2-months on a single charge. When power is depleted, connect the keyboard using the included charging cable to a USB power source.